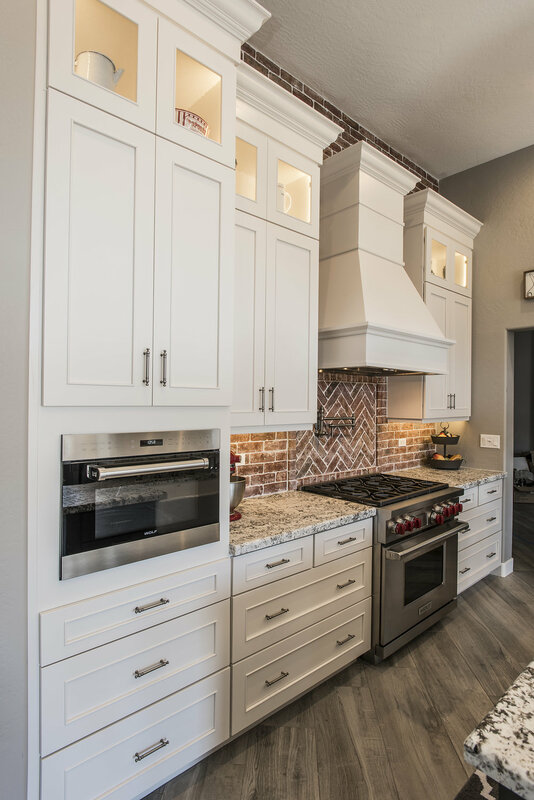 The custom alder cabinets deliver a casual elegance. 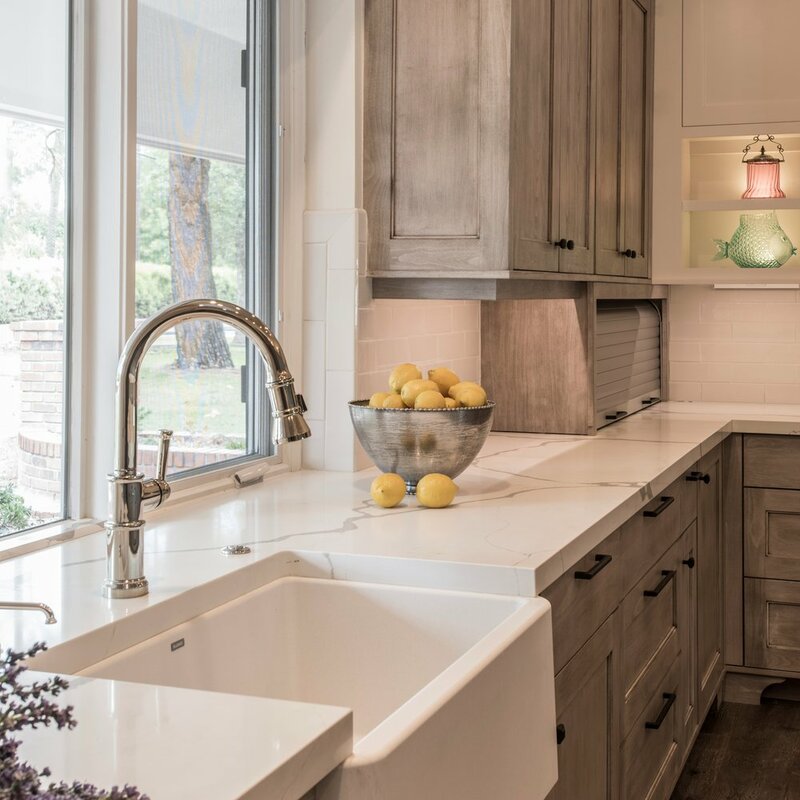 The kitchen’s soothing color palette is just missing a cup of tea and a nice visit from an old friend. When a client requests that you match the kitchen design to a piece of furniture, that is what you do. The knotty alder in a nocturne dusk finish by Cabico Elmwood Series is dramatic. It is a dark finish with chocolate undertones. 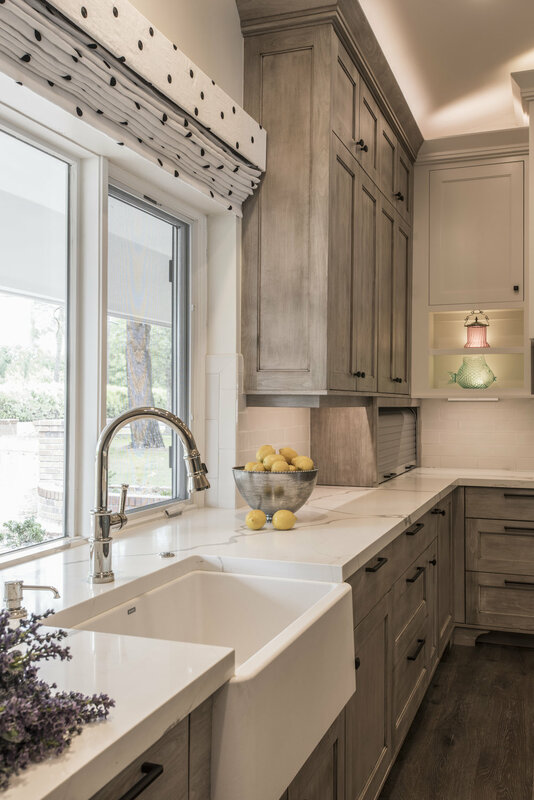 Design elements like the lattice fronts cabinets around the cook top give this kitchen charm and character. A small kitchen can still make an impact. The jewelry box space is dripping with details. The Custom blue cabinets dressed with brass hardware are an eye catcher. Do not be afraid of color. Sometimes color is the element that makes the space. An inviting cozy kitchen that welcomes everyone. 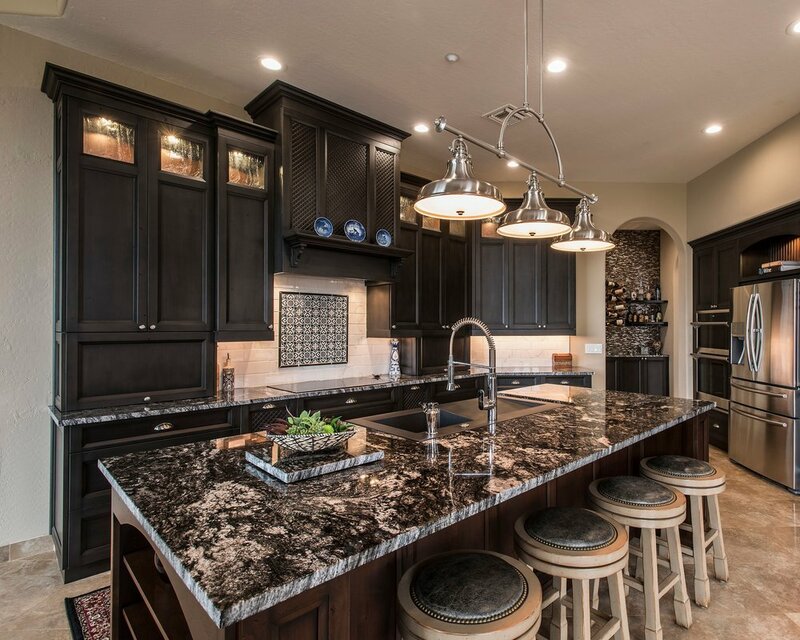 The feel of this kitchen just screams family. 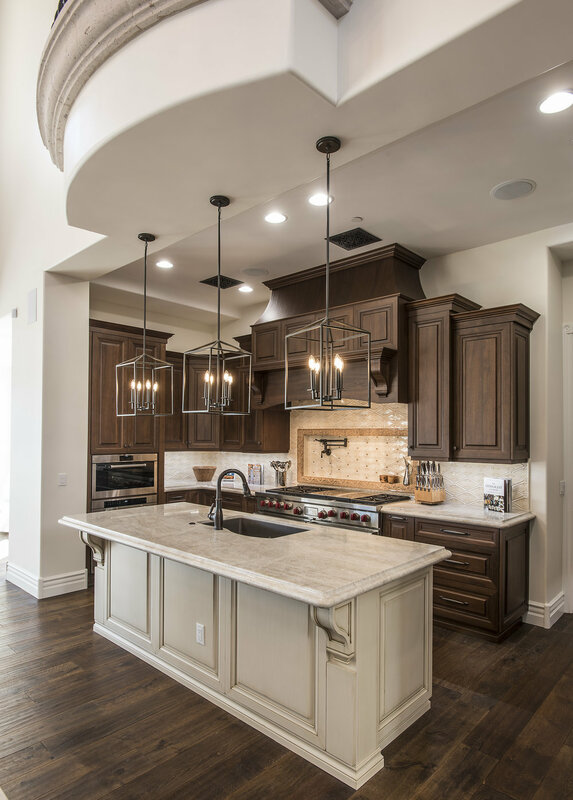 The brick veneer, Dura supreme cabinets, stone counter tops, and wood floors make this a very livable space that gives off just enough of that farmhouse vibe.